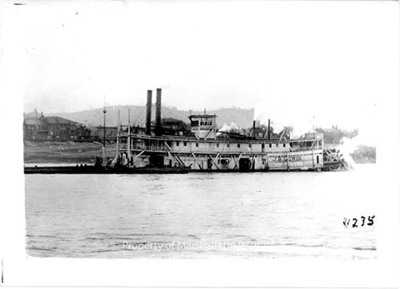 Steam towboat J.B. Lewis, a sternwheel steam towboat built Elizabeth, Pennsylvania, 1900. Towed Kanawha River coal to Cincinnati. Lost in a storm on the Atchafalaya River, 1926.